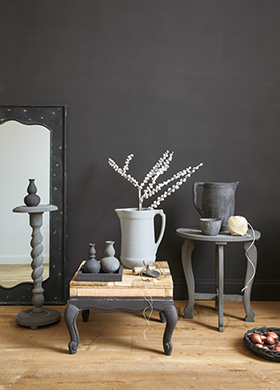 Pure & Original Classico chalk paint provides a matt, powdery, soft look, as if the space is covered with velvet. It is a paint you have to experience yourself. 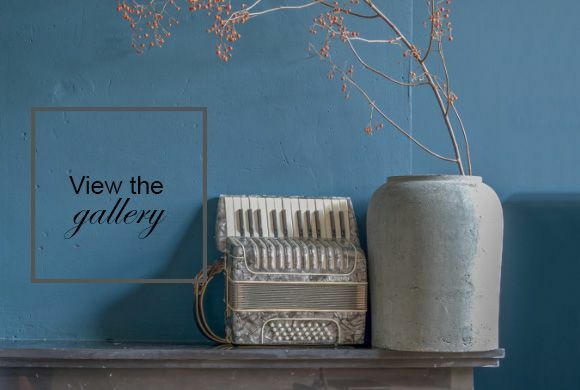 Visit our selling points to see the hand-painted samples or to order our colour brochure. Classico creates an atmosphere and environment that is both warm and commanding, even in delicate tones. 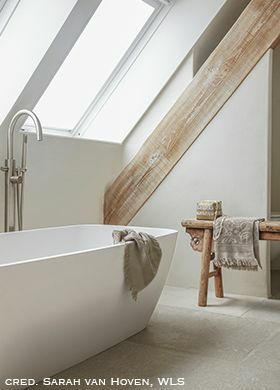 Chalk paint is suitable for every space in your home, even in the kitchen and the bathroom. When directly exposed to water or hot grease splatter, it is advisable to apply Pure & Original Dead Flat Eco Sealer. After applying the sealer, the chalk-based paint will be protected and easily washable. Chalk paint is also very popular for use on furniture to achieve an authentic, matt and aged look. Please Note: Although washable, a matt paint is more vulnerable than lacquer, meaning that shabby spots may be visible very fast. In order to prevent this, it is possible to protect the chalk paint with one of our finishes, like Italian Wax or Dead Flat Eco Sealer. If you want a matt paint that is easy to maintain, without the need of a sealer, we recommend using our Traditional Paint Lacquer or Licetto. 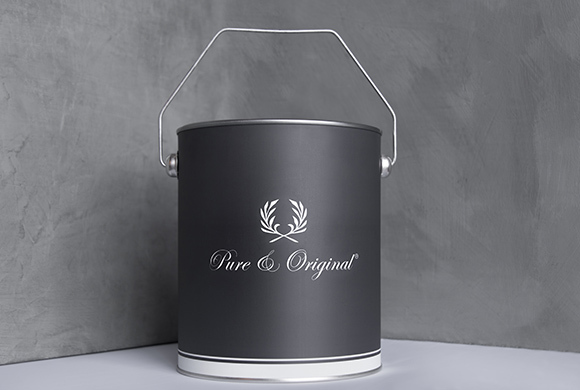 Classico chalk paint can be applied easily, just like any standard wall paint. You may paint with a roller, brush or sprayer. It is possible to use the chalk paint directly, without using a primer, on latex wall paint and wallpaper. The wallpaper must be secured properly. When applied by roller or a sprayer, you’ll get a smooth, even look. If applied with a lime brush it enhances the strokes of the brush for that authentic, hand-applied finish. Chalk paint can be applied without a primer, providing the surface is in good condition. For best results we recommend the Pure & Original WallPrim. Classico chalk-based paint is lightly washable. 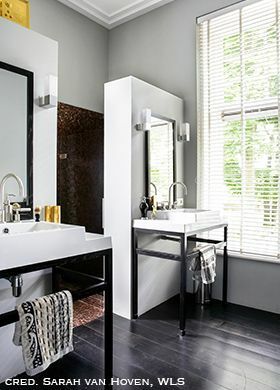 For the best results when applying in the bathroom or kitchen, it is recommended to protect the paint with a sealer. When you seal the surface with Dead Flat Eco Sealer, the Classico can be cleaned easily using a wet cloth. Want to be ready to go after painting without using a finish? Use Licetto! This is a matte, hyper washable paint. You do not have to finish it with a sealer to make it dirt and water resistant. 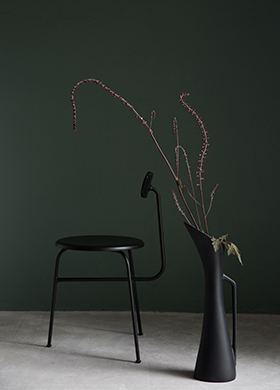 The Licetto does not have the powdery and velvet look as the Classico chalk-based paint has. Is full colour and ultra matt. Through the use of natural pigments in an extra high dose, the colours are deeper, richer and full of colour. 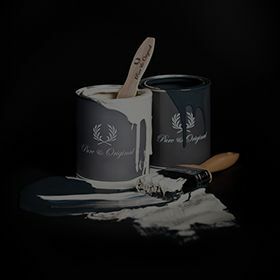 Classico chalk paint is available in all Pure & Original colours. Is a professional chalk paint on water base. Is made with 100% natural pigments. Is easy to apply and requires little or no preparation.